DENTAL INSURANCE - Proper preventative dental services can help avoid costly corrective procedures. - Diagnostic and Preventative - routine cleanings and exams. May also include xrays. - Basic - repairs to fillings, crowns, inlays and simple extractions. - Major - root canals, crows, bridges, surgery, implants, etc. There are individual and employer group dental insurance options available. Group dental tends to charge less and can have more extensive coverage. With all dental insurance, there is an annual maximum limit per person which tends to range from $1000- $2000 depending on the plan design and carrier. Also, for plans that include orthodontic coverage, there is a lifetime maximum. Dental discount plans are another option for individuals and families to consider if their dentist is a participating provider. These plans have no maximums or preexisting limitations; however, it is important to remember, this is not insurance. You receive a set discount on the services provided. Oral health plays a key role in your overall health. If you would like more information on group dental plans please contact us. 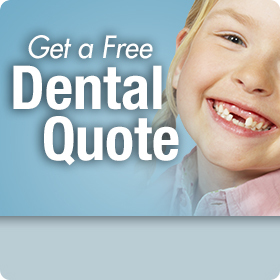 For an individual dental insurance quote, please click the link to the right. For information on dental discount plans, please go to the menu bar to Dental Discount Plans.